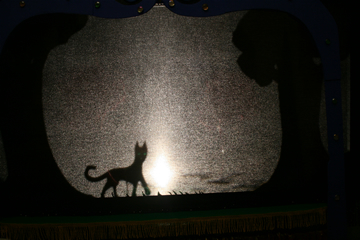 Shadow puppets can be made simply enough for early years or detailed enough to illustrate poetry. 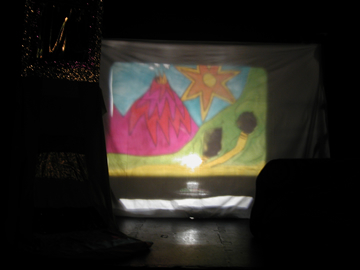 Puppets can be jointed or static and children in workshops are invited to bring their puppets to life behind a screen. 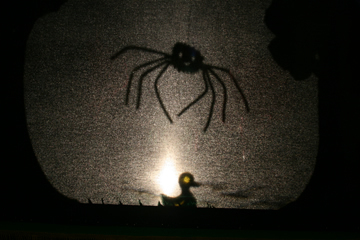 Longer workshops can involve making shadow scenery and working with other projected images. 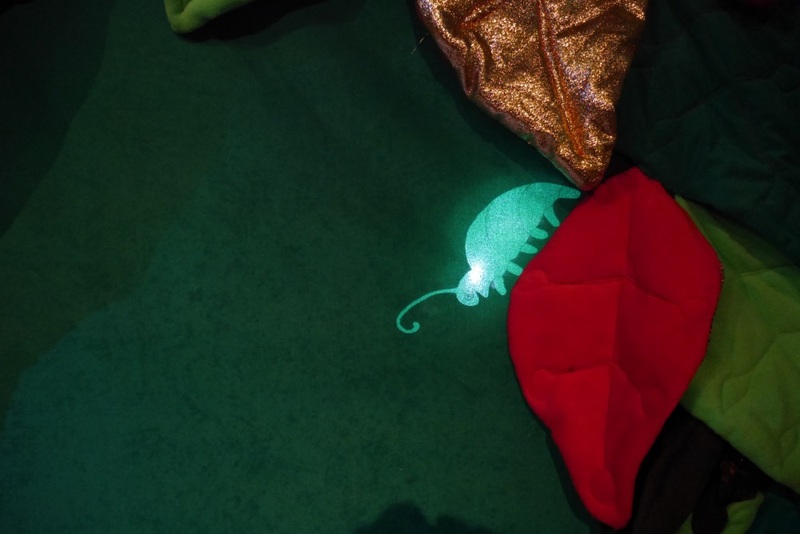 Our very popular Science of Shadows workshop involves a look at transparent, opaque and translucent materials as well as the properties of light, before making shadow puppets and an acetate backdrop.